Rafe has an epic imagination...and a slight problem with authority. 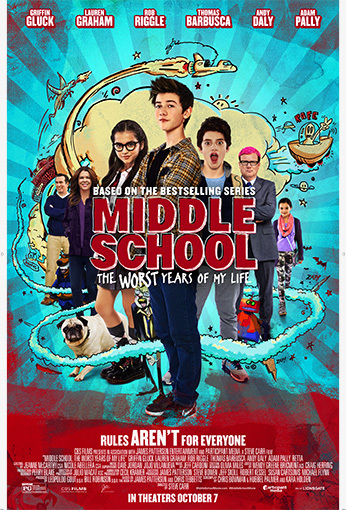 Both collide when he transfers to an oppressive, rule-crazy middle school. Drowning in do's and don'ts, Rafe and his scheming best friend Leo hatch a plan to break every rule in the school's Code of Conduct. It's Ferris Bueller meets Home Alone as their battle with Principal Dwight explodes into chaos both real and imagined. But Dwight displays his own fiendish creativity, striking back at the rulebreakers. Meanwhile, Rafe struggles to hide his misbehavior from Jeanne, the straight-A, overachieving girl of his dreams, and at home, his mother's boyfriend -- a moochy, jack-of-no-trades named Bear -- threatens to become his stepfather.